The Index continues moving inside wave . On the minor wave level, the price is finishing the fourth wave. Most likely, in the future the instrument will start growing up again and break the maximum while forming wave (5) of . We can’t exclude a possibility that the current correction is taking the form of horizontal triangle pattern. If our assumption is correct, then the price may continue moving sideways for a while. 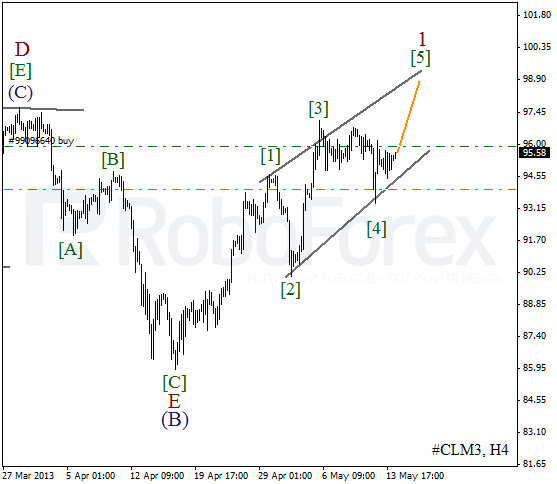 The target for the next several days is the level of 15200. 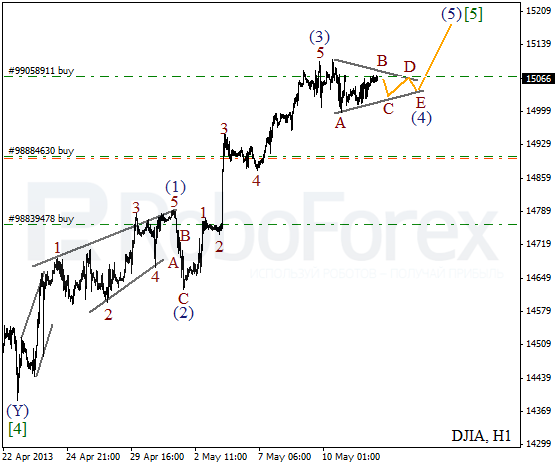 Oil is forming a bullish wedge pattern. 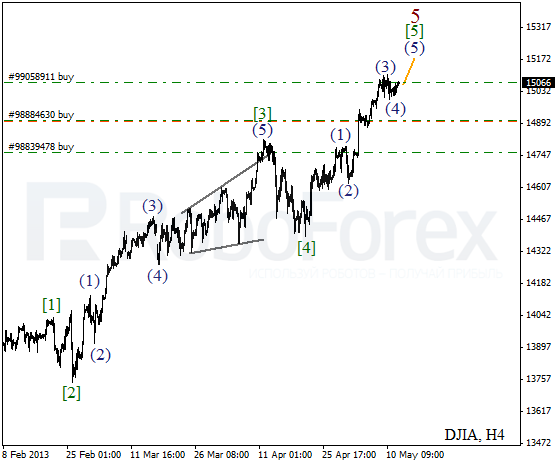 Earlier the market completed wave (4) and started growing up inside the fifth one. I’m still keeping my buy orders opened. In the near term, we can expect the price to break the maximum and reach the level of $98 per barrel of Light Sweet. 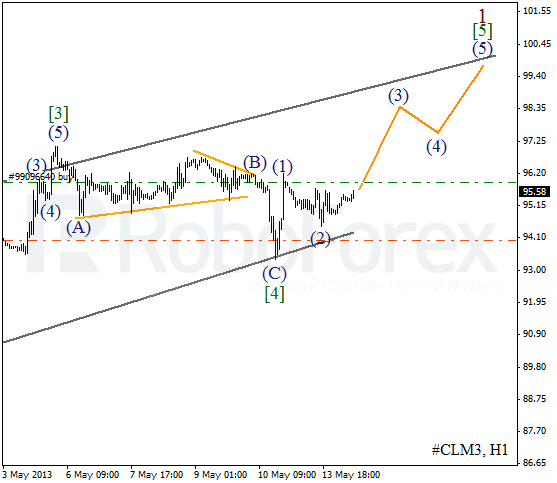 It looks like the price completed an initial impulse inside wave 1. The current chart structure implies that a local correction finished. During the next several hours, the instrument is expected continue growing up inside the third wave.